Early Years settings are rich with resources to help children develop across the EYFS. Toys, games, books and equipment can all be used to promote rounded development. It is important to remember that even very young children may have already started to associate colour with gender so aim for bright, colourful and varied items when buying new toys (does that dolls’ pram really need to be pink?). 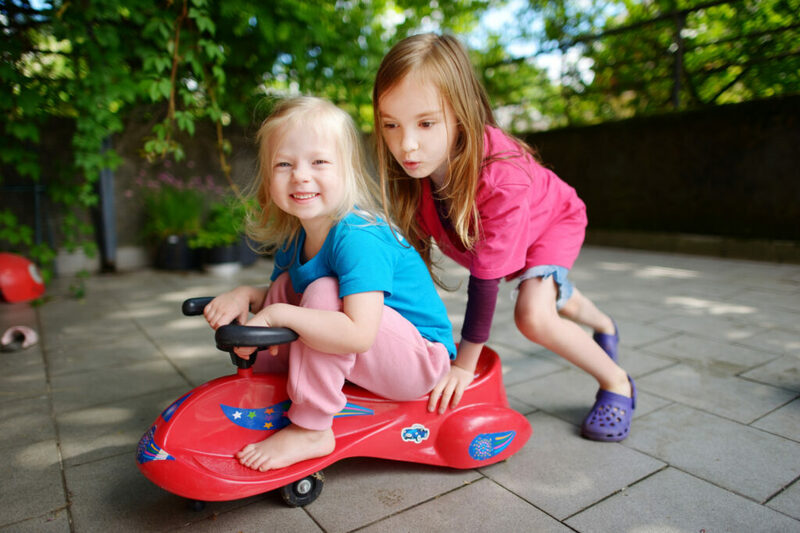 Our blogpost Toys in the early years outlines some of the educational benefits for boys and girls of different types of playthings. 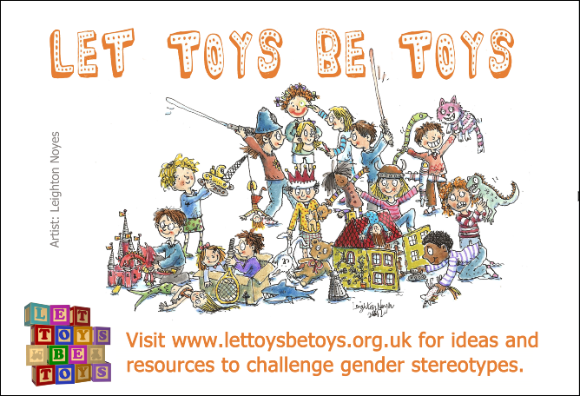 The Let Toys Be Toys Toymark celebrates shops which sell interesting, inclusive toys for all children. Have a look to see if there are any shops local to you, or if you can buy online. Children love books and the Early Years are a perfect opportunity to foster this passion. Think about the books in your setting – do they show boys and girls equally? If you’re keen to develop your bookshelf, consider booksellers such as Letterbox Library who sell exciting and inclusive books, including those recommended for the Early Years. Let Toys Be Toys lesson plans offer ideas for introducing these concepts within a classroom setting, including activities targeted specifically for Early Years/Reception. Our schools resources page links to other organisations who can support inclusion in schools.